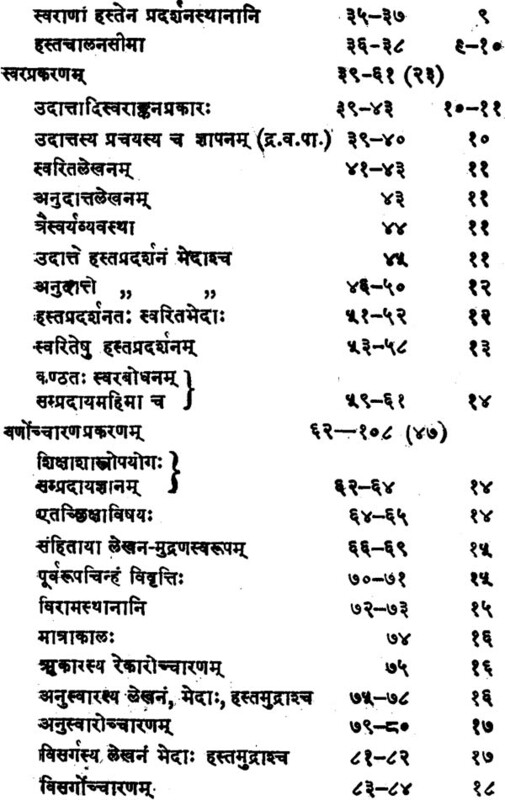 The Sampradaya-prabodhini siksa by Pt. Gopal Chandra Mishra, Veda-Dharm-asastra-Mimamsa- Acarya, M.A. 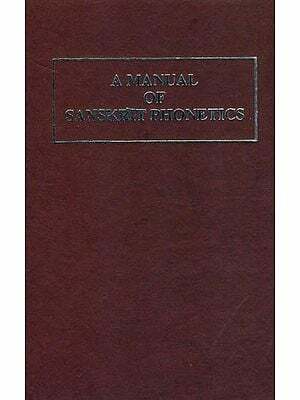 of the Sanskrit Mahavidyalaya, Banaras Hindu University, is a contribution in the field of Vedic Phonetics. 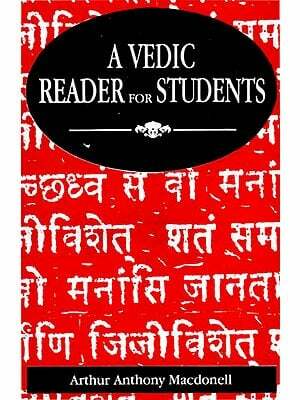 The recitation of the Vedas has been a continuous process of oral transmission by the teacher to his loyal disciples. 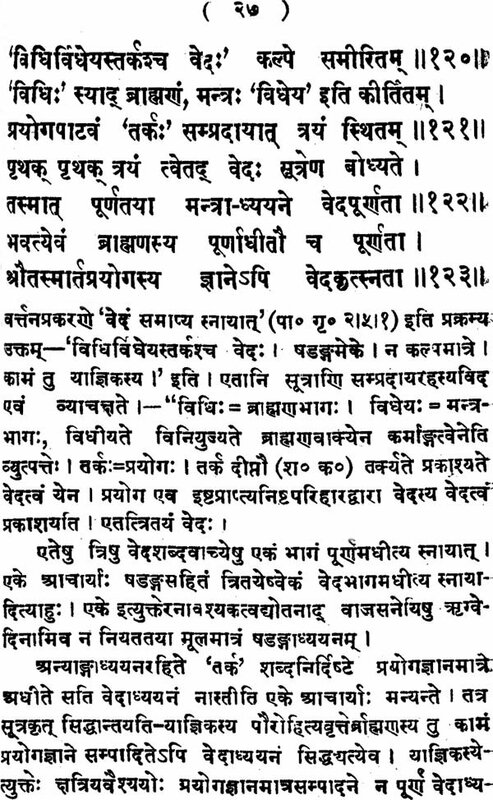 Such recitation, however, varied not only from Veda to Veda but also among the teachers of the same Veda. Thus arose the need for standardization of recitation. 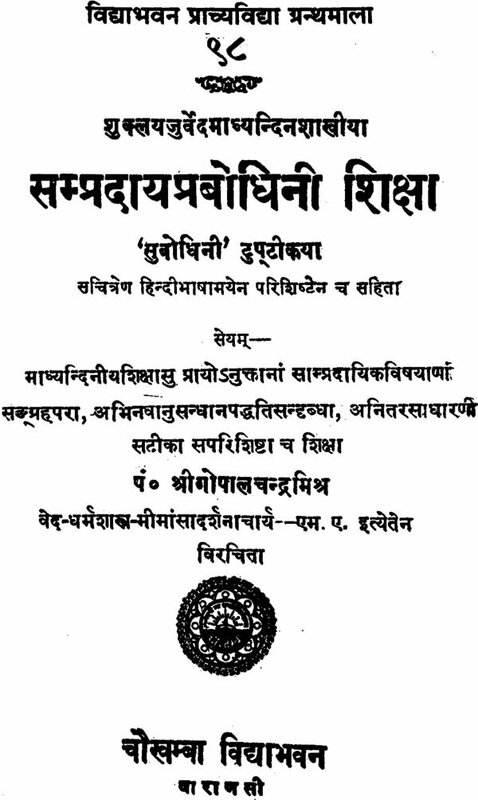 As a result, came into existence the Pratisakhya literature. It found due recognition as an indispensable aid to the study of the Vedas. 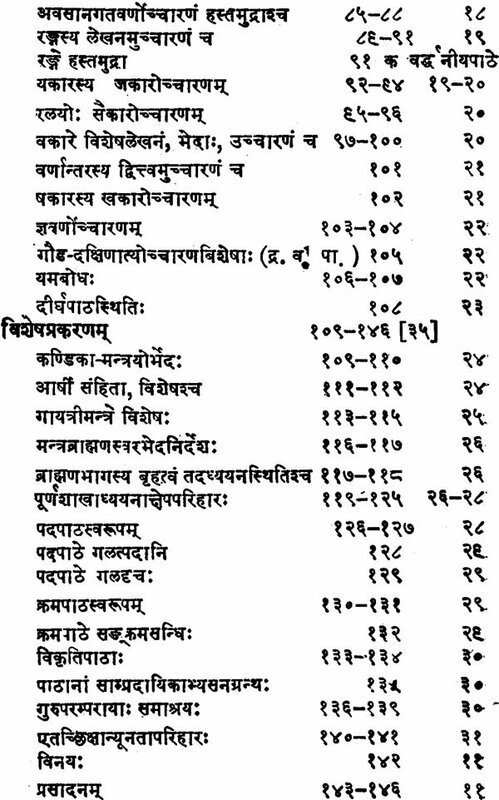 The present work belongs to the Madhyandina School of the White Yajur-veda. 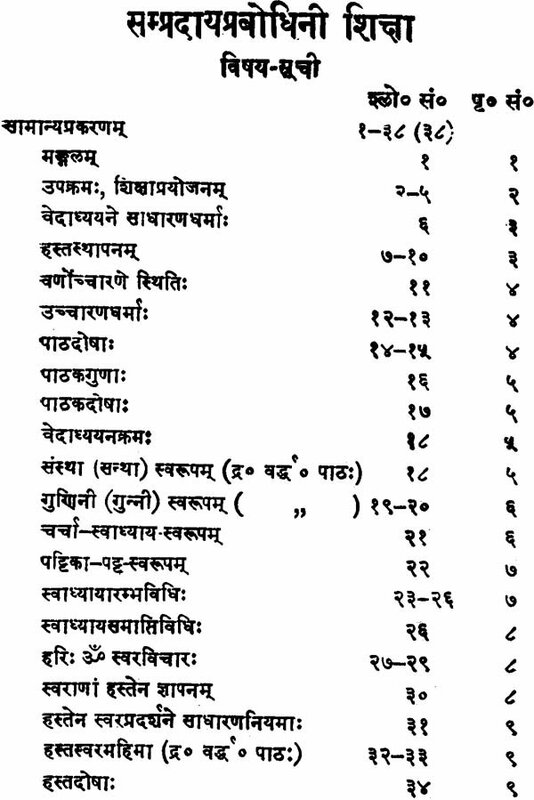 The Yajnavalkya siksa on the same is obscure on some points and is incomplete in some respects. The present venture has sought to remove these lacunae, in the light of facts from the living tradition of Vedic recitation. The task is amply rewarding, especially in face of constant decays of Vedic scholarship. Pt. Mishra has renovated the Yajnavavalkya Siksa. He has adepted ten verses from the Original intact, and another nine verses with slight amendments. The rest is his. Comments under each verse have added to the value of the work. The result is remarkable. Coming as it does from the hand of a scholar steeped in Vedic tradition, the work has become a focal point of both theory and practice-an authentic and comprehensive pronouncement on a subject highly technical and yet so important for the study of our ancient heritage.